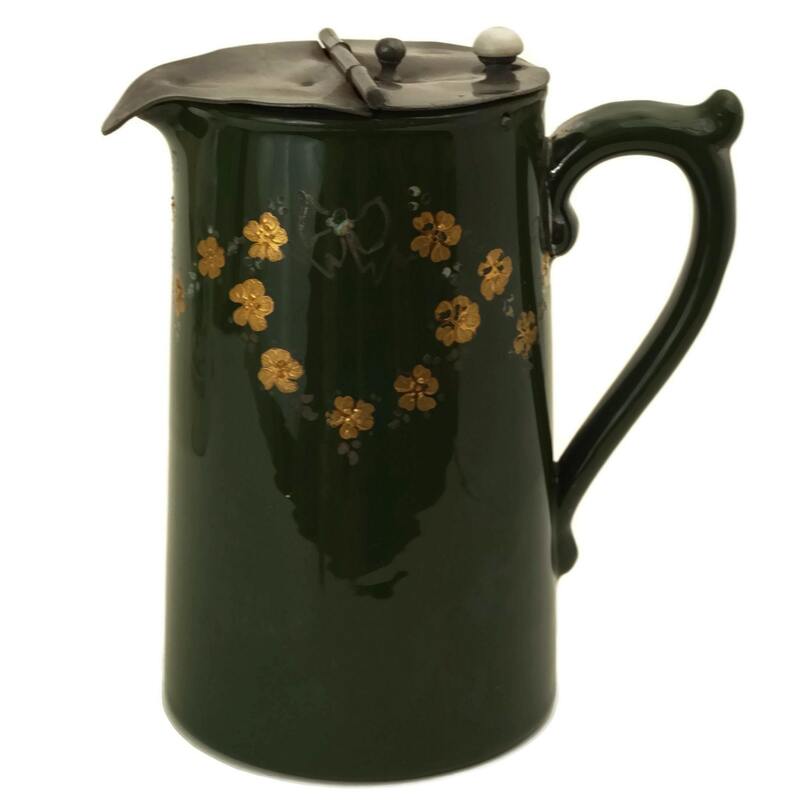 A lovely antique ceramic pitcher with pewter flip top lid. 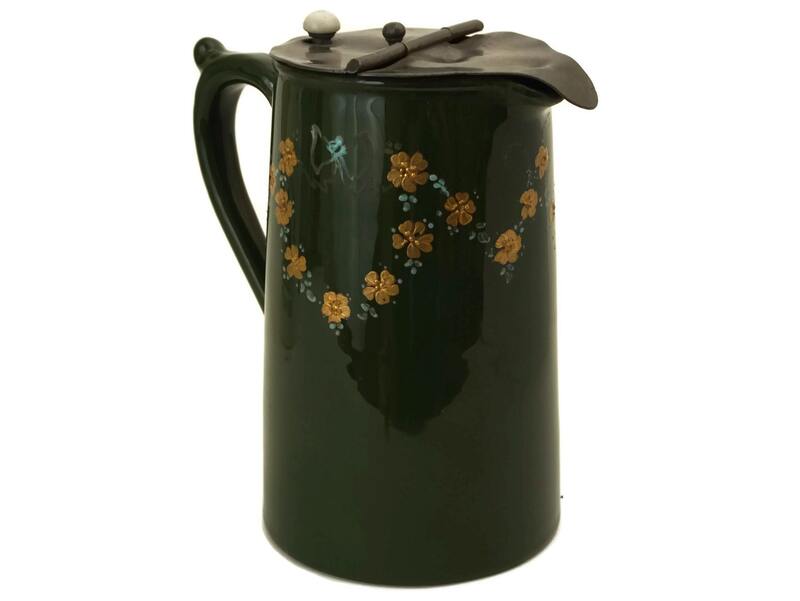 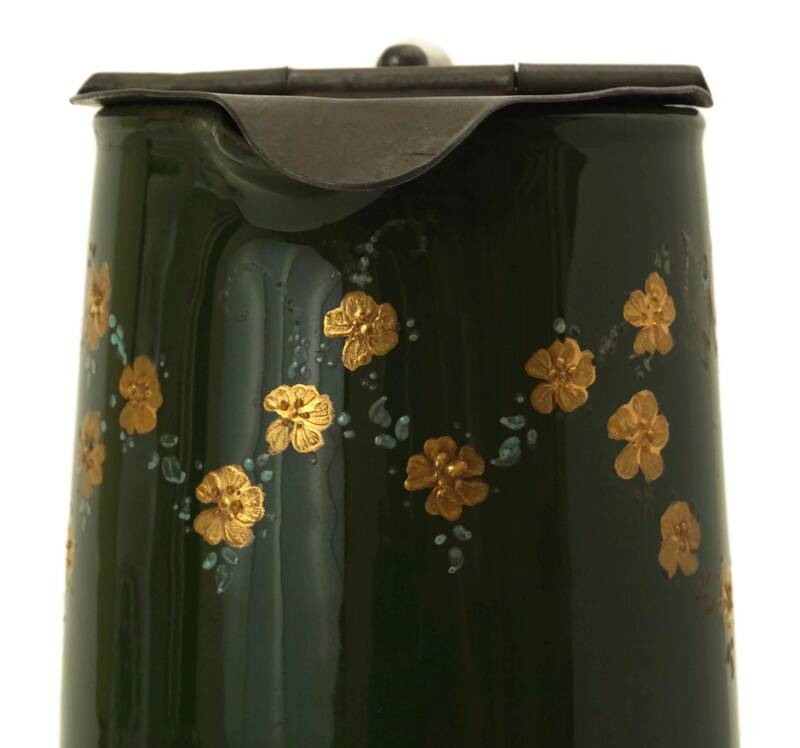 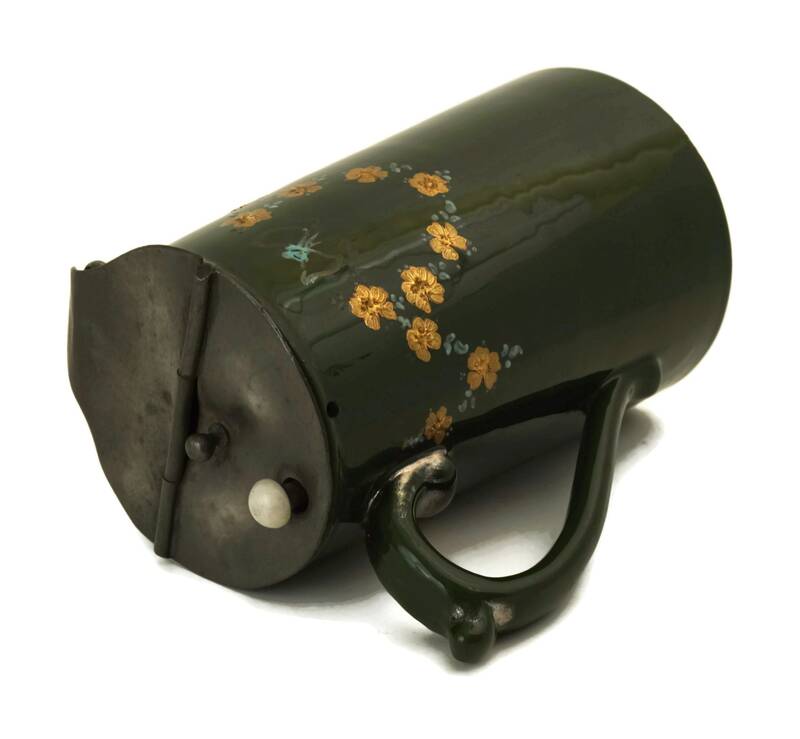 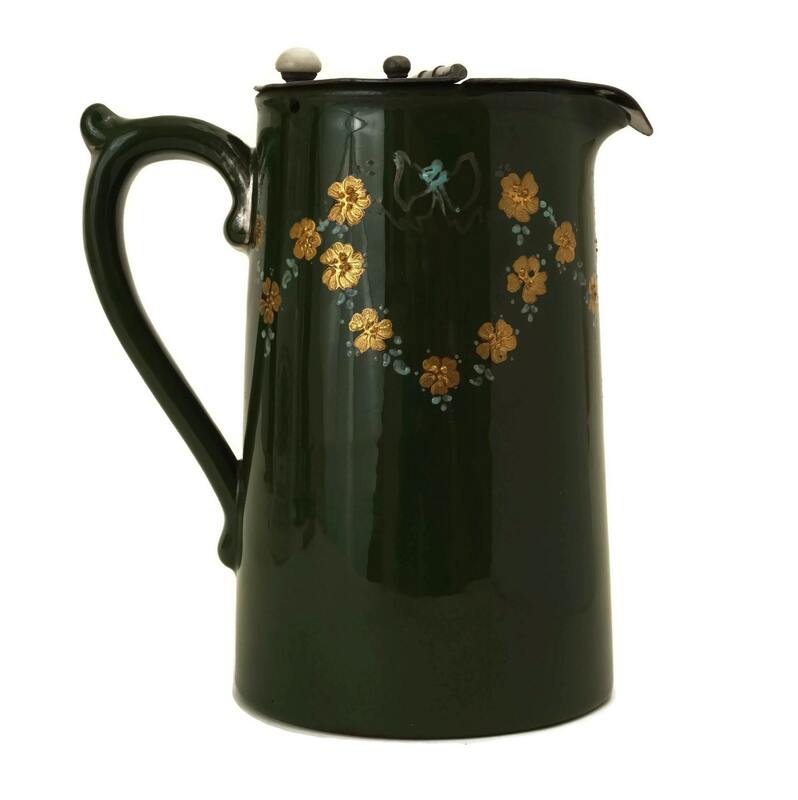 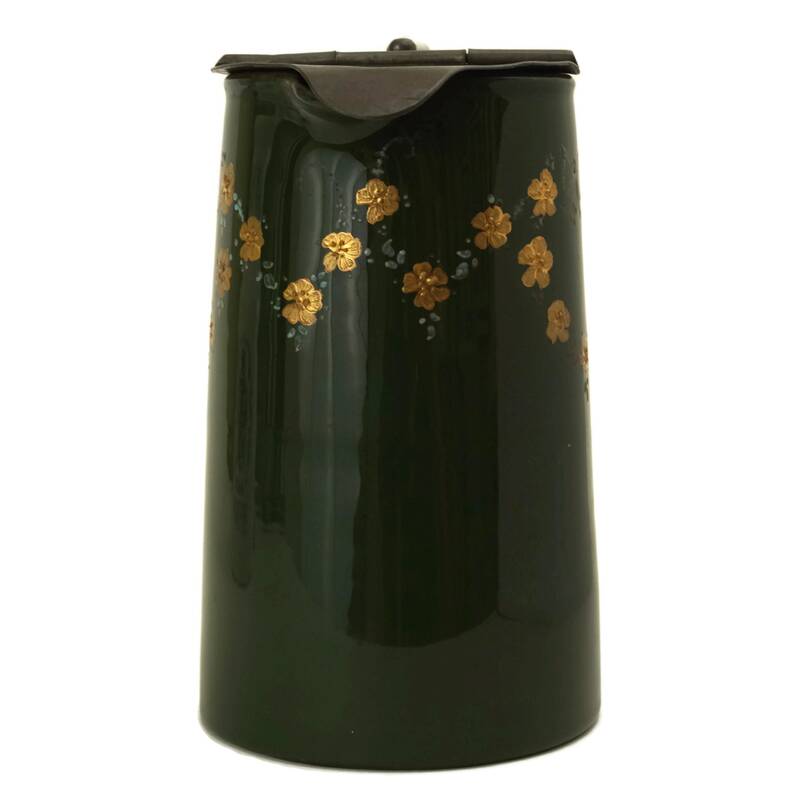 The exterior of the glazed pottery milk jug has been decorated in a deep shade of green and features an ornate gold flower pattern. 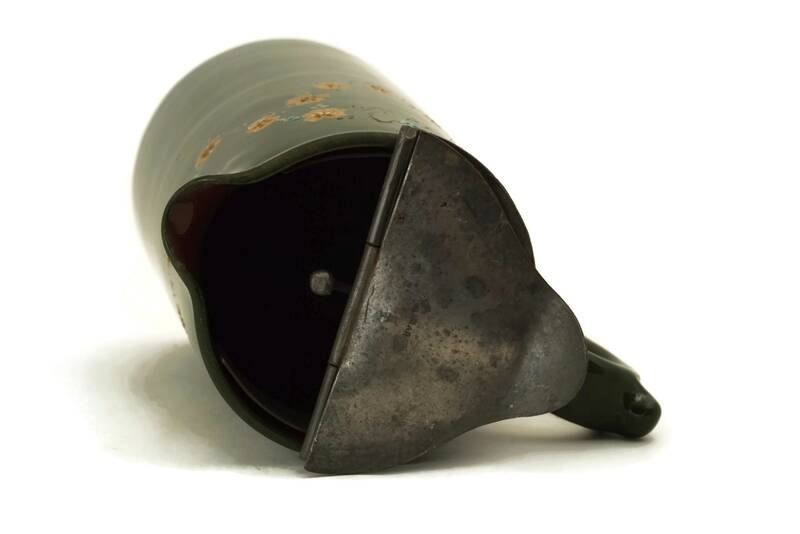 The pewter lid has a small thumb rest lever to flip open a section of the top. 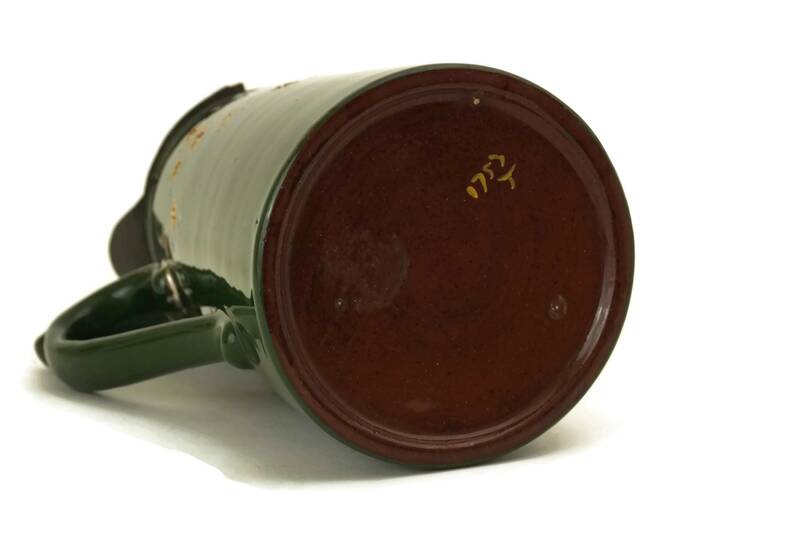 The underside of the lid has been stamped TRAFALGAR. 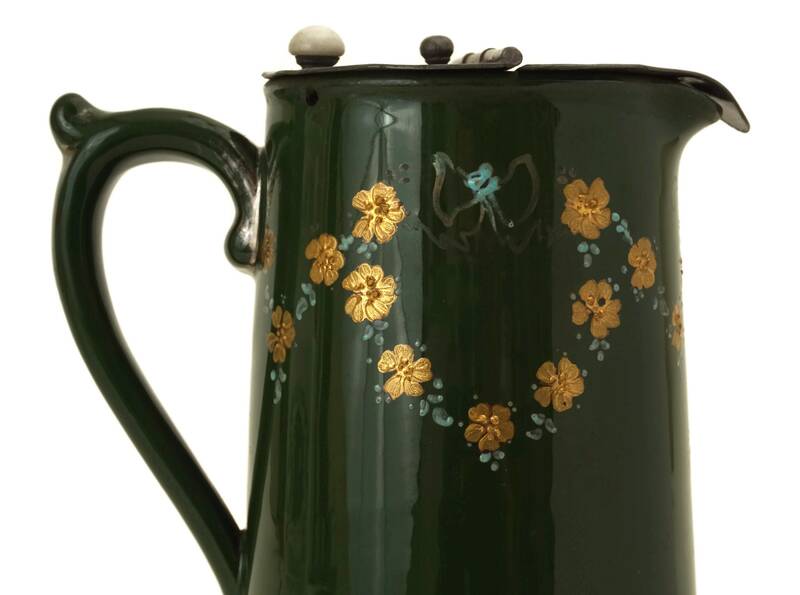 The base of the antique pitcher has the makers reference 1753 T.
The pitcher is in good antique condition with some signs of age including small dents and marks to the lid. 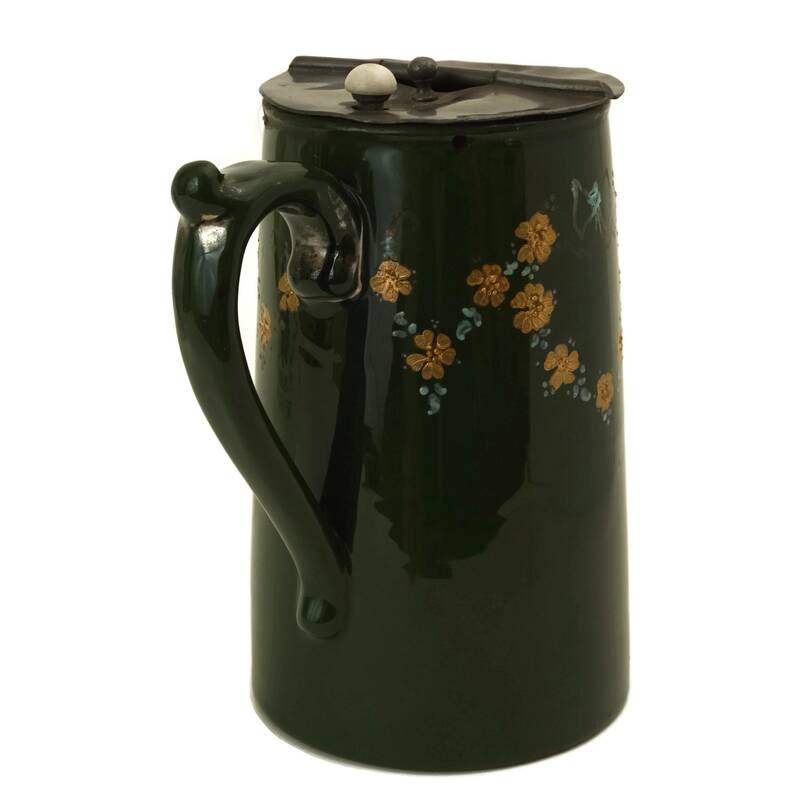 There are no chips or cracks to the pitcher.